This workshop will continue the initiative, which started four years ago, of bringing together the international communities of dependability and software architectures. 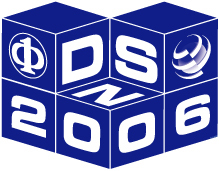 The first workshop on Architecting Dependable Systems was organised during the International Conference on Software Engineering 2002 (ICSE), and since then five workshops were organised and three books were published (http://www.cs.kent.ac.uk/wads). This activity has culminated in 2004 with the organisation of the Twin Workshops that were held at ICSE 2004 and DSN 2004. This series of workshops have shown to be a fertile ground for both communities for clarifying approaches that have been previously tried and succeeded, as well as those that have been tried but have not yet shown to be successful. This not only helps avoid the reinvention of the wheel, but also clarifies and promotes areas where the most promising research may lie. The program of the workshop will promote the discussion in the area of architecting dependable systems by focusing on two basic questions: what are the architectural principles involved in building dependable systems? How should these architectures be evaluated? The workshop is open to all researchers, system developers and users who are involved with or have an interest in dependability at the architecture level. We encourage all the prospective participants to submit an extended abstract, work-in-progress report or position paper. The submissions must conform to the proceedings publication format (IEEE Conference style) and should not exceed six pages, including all text, references, appendices, and figures. They should explain the contribution to the field and the novelty of the work, making clear the current status of the work. Workshop paper submissions should be sent electronically (preferably in PDF format), by the submission date, to dsn-wads@kent.ac.uk. The submissions will be reviewed by at least three members of the Program Committee.